The most popular credit card in South Africa today is without doubt Virgin Money Credit. Virgin Money just won the credit card popularity contest. Anyone interested in getting a credit card would obviously like to have the most popular credit card available. And why not? It’s called ‘style’. So, what is the most popular credit card in South Africa? Virgin Money credit cards have been chosen as the most popular by South African consumers. Value for money is the main reason for Virgin’s success. 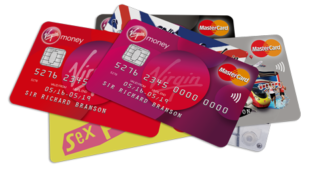 Unlike other financial service providers, Virgin Money does not charge account-holders monthly or annual fees for the privilege of owning a credit card. Its service fees are among the lowest in the industry and card-holders have automatic FREE access to the Virgin Rewards Programme. African Bank Gold Credit Card – Ranked in the second position. The reason for this is primarily its free transaction fees benefit. Other benefits include no minimum salary requirement and low interest rates. Nedbank Classic, Gold and Greenback credit card range – In the third position. Card-holders can transfer cash from one Nedbank account into another. Nedbank is also listed as providing fantastic customer care services. Go Banking from Pick ‘n Pay and the Kulula credit card are the other two consumer favourites. While these cards offer fewer rewards and higher monthly charges, they are popular because of the discounts card-holders receive when shopping at Pick ‘n Pay or booking flights with Kulula. Credit card limits are determined by your profile. High-end earners qualify for top products and have much higher credit limits. The broad range of the South African salary profile means there is a myriad of credit cards to suit every budget. ← Calling all billionaires! Calling all billionaires!